Genuine Magicard PRIMA431: YMCK full color ribbon and retransfer film set. With a resin (K) black panel. 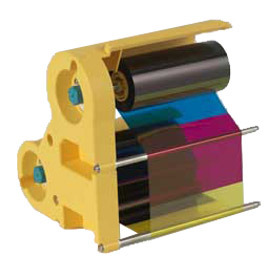 The Magicard card kit includes 1 YMCK color ribbon and 1 reverse transfer film. Prints 1000 ID cards per ribbon. Compatible with the following Magicard ID card printers: Magicard Prima 4 re-transfer printer series.